No. 1 Platform for Poets & Writers to Publish Profile and get Featured. Huge Collection of Poems , Quotes, Biographies and Poetry Analysis of Famous Poets. Poet and Poem is a social media online website for poets and poems, a marvelous platform which invites unknown talent from anywhere in the little world. The platform is great for Poets, Musicians and Singers to express talent and showcase their precious works of art. You can find love poems, famous short poems, poems lyrics, famous quote and saying and many more things. This is known as one of the best Poem Website or Poet Website among the writers and poets. This is also a famous website for musicians. 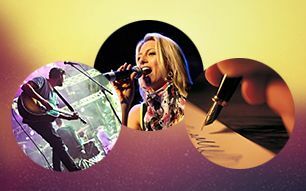 Poet and Poem allows talents like poets, writers, musicians and singers to upload their Profile, Audio and Video Performances to showcase their work and get featured to maximise exposure to a large extent. Our huge collection includes free poems, quotes and sayings of various types like short and long love poems, short life poems and and many more of distinguised classical and modern poets , poem Lyrics and Biographies of famous poets.